When you need to replace conservatory windows, it always helps to have a guide of some kind to keep you straight. You don’t want to replace your conservatory windows too soon when there might still be some useful life left in them, and you don’t want to leave it too late either. A simple repair might be a better solution than replacement, but how will you know? Also, would proper ongoing maintenance delay the inevitable task of window replacement? These questions and more are answered below. Why would a conservatory window need replacing? There may be an obvious answer. If your conservatory windows are wooden, for example, there may be signs of decay or rot in the wood. Your windows may be warped, cracked or broken even. 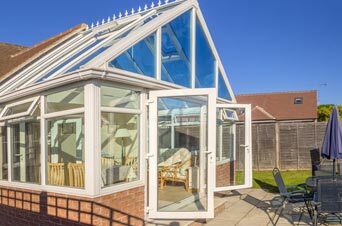 Also, if your conservatory was built a long time ago, it might not have the required safety glazing requirements. These are found in Approved Document N, which require all glazing located within 800mm of the floor to be toughened or laminated glass, which offers significant protection against impact. When would a repair not work? The first thing you should look at is the possibility of a repair. 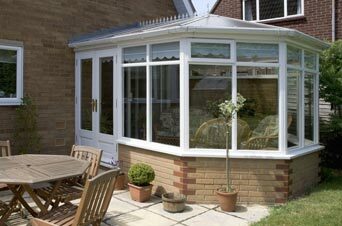 It can be a lot cheaper and can often be all that is required to bring your conservatory windows back up to scratch. However, there are times when a repair is not enough and just won’t work. It could be that your windows are beyond repair because of serious structural damage, or because wooden frames have rotted and decayed to a point where replacement is the only answer. It is usually obvious when repairs to windows or doors won’t work, but if you are in any doubt, contact an expert and ask for their advice. You can contact us at Pinnacle Windows, for example, at 01527 522019. How often should windows be maintained and replaced? Window maintenance should be something you do on a regular basis. Once a month might be a good time to perform a simple check to ensure that everything is all right, and if you find any problems, they can easily be fixed. Window replacement will depend on where you live to some extent. Harsh, cold and very wet winters, or very hot summers can put window units under a lot of stress and strain, for example. Are there any steps that could be taken to prevent windows needing to be replaced? 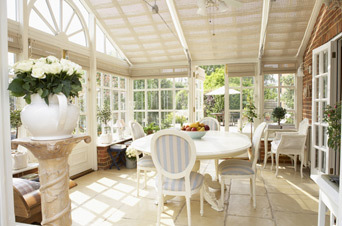 Regular and thorough maintenance is the key to prolonging the life of your conservatory windows. Cleaning the windows on the inside with an approved glass-cleaning product as part of a weekly house clean up is a good idea. You can also extend that to cleaning the outside as well for even better long life. A little bit of lubrication on the locks and hinges once a month will never go amiss either. How much time does it take to replace a window? What is the process? It really depends on the state of the old window, but removing the old window and the installation of a new window should not take more than about an hour to an hour and a half, if there are no unexpected problems. 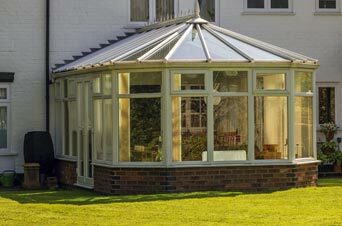 There are many variables to be taken into account when replacing a conservatory window, such as the frame material, plastic, metal or wood, the type of glass, and the window size, for example. The basic process involves the complete removal of the old window unit and replacing it with a new unit of the same dimensions.